Eight years ago, a bunch of us were discussing on Praja.in about commuter rail routes and reviewing its potential for changing the transportation scene in the Bengaluru Metropolitan Region of 8,000 sqkms. 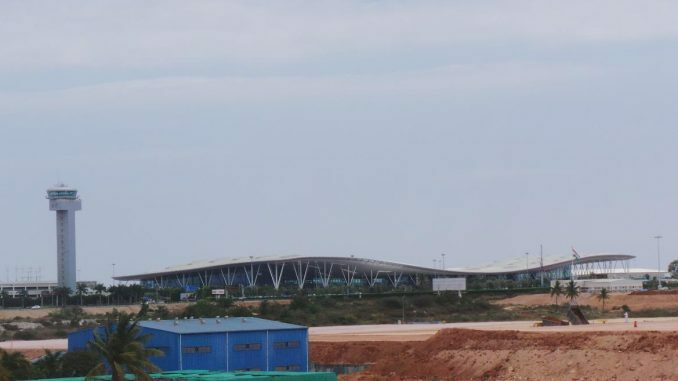 In one of the comments, I had proposed that we use the Kempegowda International Airport (KIA) as a hub for rail as well, so a new transport hub for passengers is created. Let’s look at what we might achieve by doing this. Economic growth of a country depends on the productivity of the economy. Efficient, intelligent usage of Labour and Capital investments determine productivity. Where we deploy investments like roads, bridges, buses, trains determine what outcomes they deliver. Bengaluru established a comparative advantage in IT services, post the liberalisation of the economy. Good quality of labour led that growth. The services industry relies on the movement of people rather than goods. We have been unable to reap the efficiencies of our surface transportation infrastructure. This is because of bad engineering and rapid deterioration in the quality of assets. Further investments of road infrastructure in the city will fetch us diminishing returns. Instead, increasing efficiencies in the deployed infrastructure in the city is the key. Deploying new capital investments where it matters — the suburbs and industrial zones — is the need of the hour. A transportation hub which brings together rail, bus and air at the KIA provides a single landing point for people and goods. Every day, More than 2.2 lakh people use the KSR railway station, 90 containers from the Railway ICD, 68 thousand people and more than 3 lakh metric tonnes of cargo pass through the airport. The location of Bengaluru airport is ideal for it to be an Entrepôt. This will unclog the city and provide the opportunity to create jobs in the region and living facilities. Investing in more mass transport rolling stock like buses, trams, trains followed by quality vocational education can provide catch up growth that a low-income country needs. If it’s going to take 12 years to even get to talking about one suburban train to the airport, we will continue to be stuck with deploying sub-optimal flyovers in the city and miss the opportunity outside. Note: This article has been originally published on Medium, and republished here with the author’s permission.